Please note: The Online Booking facility closes at noon on the Friday preceding the week of the camps. 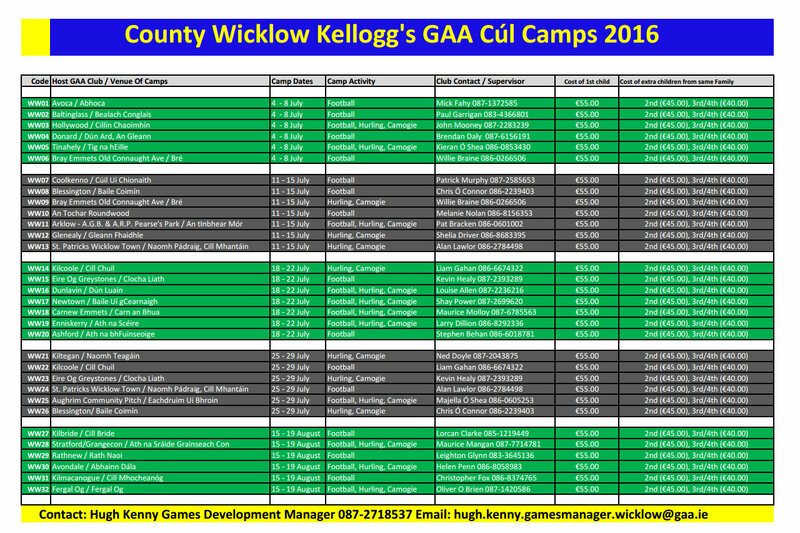 Search by your county (WICKLOW) and view the camps dates, venues, prices and co-ordinator details. The Stratford Grangecon Cúl Camp is on this August 15th – 19th. 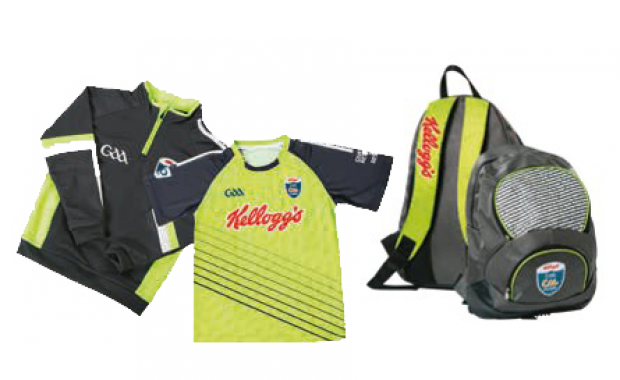 To celebrate the return of this summer’s Kellogg’s GAA Cúl Camps, Kellogg’s are giving you the chance to win €5,000 worth of training gear for your team plus a €500 voucher to spend on your family. 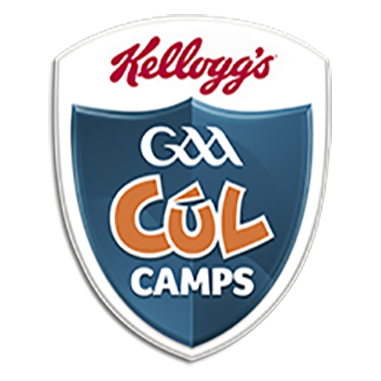 To enter, pick up a promotional pack of Kellogg’s Corn Flakes, Rice Krispies or Kellogg’s new 5 Grain or Nutty Chewy bars in stores and then follow the steps to register your child for a Kellogg’s GAA Cúl Camp. 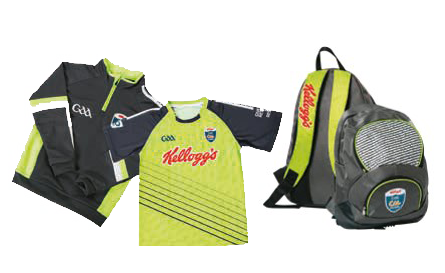 You will need the last 4 digits of the barcode of your Kellogg’s promotional pack and to answer a simple question. 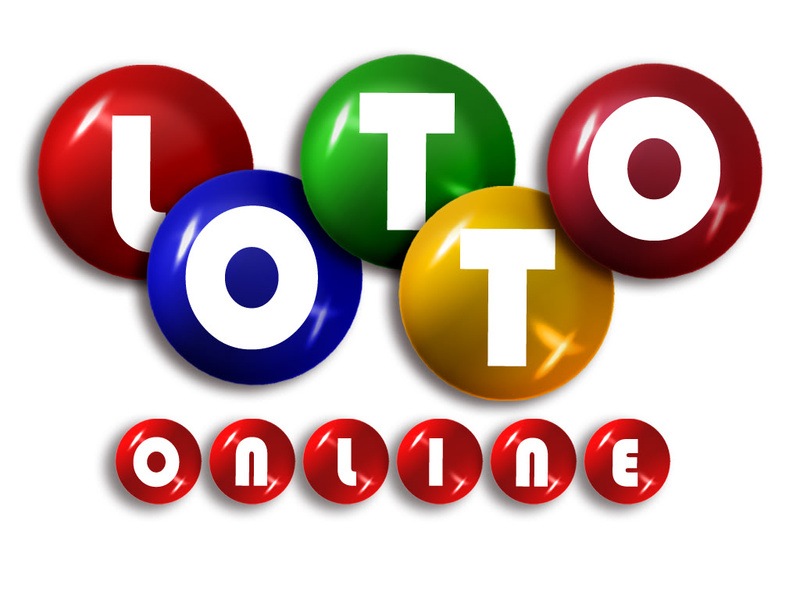 We’ve got three prizes to give away. Good luck!